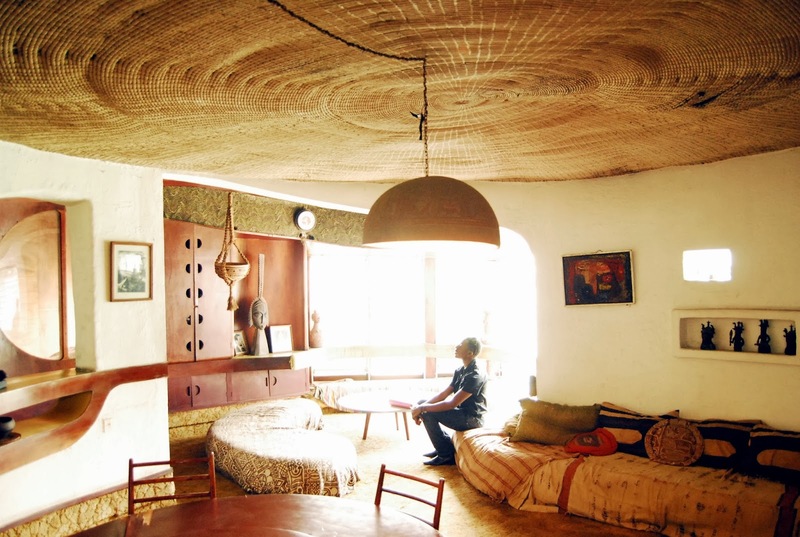 I have recently spotted this wonderful modernist interior from West Africa - I couldn't wait to share it. I hadn't been even aware of the fact that there is modernist architecture in Africa. The room we can see on the picture is a part of architect's Alan Vaughan-Richards's (b.1925-d.1989) house in Lagos, Nigeria. Richards came to work in Nigeria in 1955. His work, especially in the sixties, was in search for a synthesis of modernism, modern design techniques and forms of local architecture and materials. In this interior it's easy to see inspiration with African culture not only in the the interior decoration but above all in the architecture - the curvilinear geometries of walls, windows, ceiling.